Scour poses a large threat to the stability of any structure that is partially or entirely underwater. It may develop slowly over time, or be brought on quickly by an intense rain event or seasonal flooding. In some cases, such as along a shoreline, scour can be very evident. In others, scour can go unnoticed for an extended period of time. 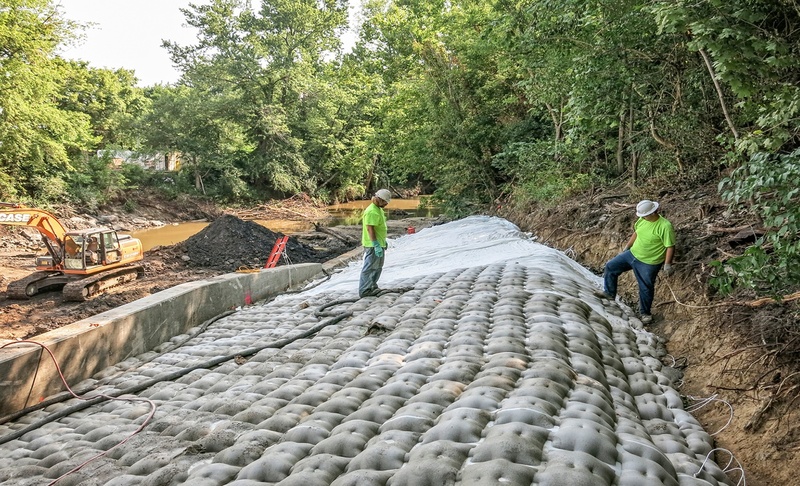 Whether it is taking place around the footing of a bridge pier, along the base of a sheet pile wall, or along a tailrace on a dam, scour may not be evident until the structure begins to show signs above the water. At this point, the structure is beginning to fail and repairs must be done soon to avoid a total loss of integrity. Repairing scour and erosion issues that may be going unnoticed in any location is vital as it will save a lot of money in the long run, and extend the life of the structure.